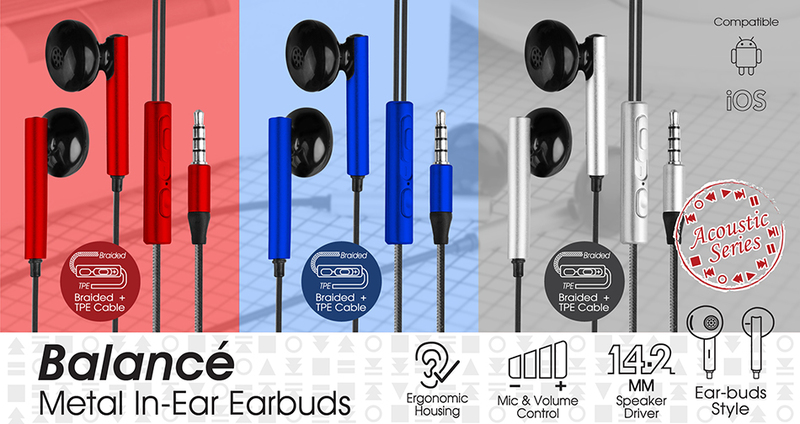 CLiPtec BME803 Metal In-Ear Earbuds is a high performance earphone for extended frequency range to deliver the balance of the bass and mids and tribble clear sound. The microphone and volume control in-line design also provides easily switch between making calls and listening to music with smartphone directly. The special combination of braided wire and TPE wire material to performed the quality and stylish of this earbud. CLiPtec Metal In-Ear Earbuds together with an ergonomic fit with around the ear design, comfortable soft leather earmuffs for prolonged wearing. 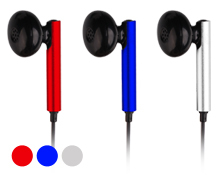 The In-Ear earbuds casing design enhanced the speaker to delivers extreme bass with high quality powerful sound. 14.2mm large driver units produce Hi-Fi audio well-balanced of strong bass, soaring highs, and clear Mids. With no distortion and a natural feel. The ultra-durable braided cable prevents most knots and twists. The TPE cable is anti-sweat function and anti-stretch.